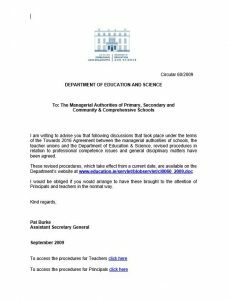 An Foras Pátrúnachta and our schools adhere to the complaints procedures which have been agreed to by the management bodies, the INTO, the Department of Education and parents. 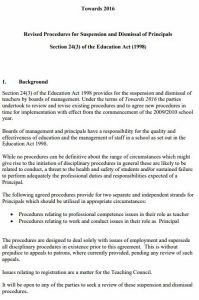 The information below which deals with complaints procedures and disciplinary procedures is broken down into 2 sections; Parents and School Staff. The following documents detail how to make a complaint. Our handbook with guidance on how to solve an issue in school. 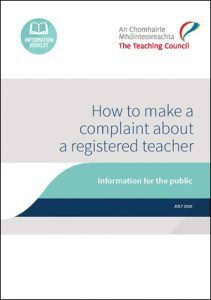 A handbook from the Teaching Council on how to make a complaint to the Council. Further detail on general disciplinary matters. The following information is broken up into four elements; Teachers, Principals, SNA’s & Other Staff. 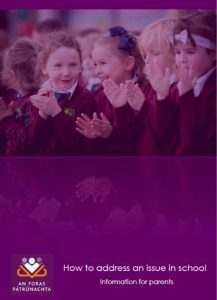 The Department of Education and Skills, in consultation with An Foras Pátrúnachta and the other primary management bodies, published revised procedures in relation to professional competence and general disciplinary matters for teachers and principals. The procedures therein are divided into professional competence issues and matters other than professional competence. They form Circular 60/2009. Procedures for teachers are available below. Procedures for Principals are available below. 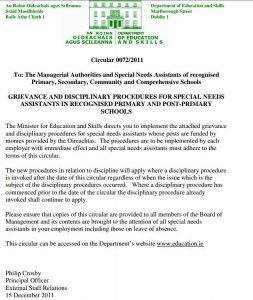 Disciplinary and Grievance procedures for Special Needs Assistants are available (Circular 72/2011) below. There are no Department of Education and Skills disciplinary procedures for other school staff. Our Boards of Management should consult the staff members contract and follow the procedures outlined therein.